The following demonstrates how to inspect a model of a subset of the Reuters news dataset. The input below, X, is a document-term matrix (sparse matrices are accepted). The document-topic distributions are available in model.doc_topic_. Convergence may be monitored by accessing the loglikelihoods_ attribute on a fitted model. The attribute is bound to a list which records the sequence of log likelihoods associated with the model at different iterations (thinned by the refresh parameter). 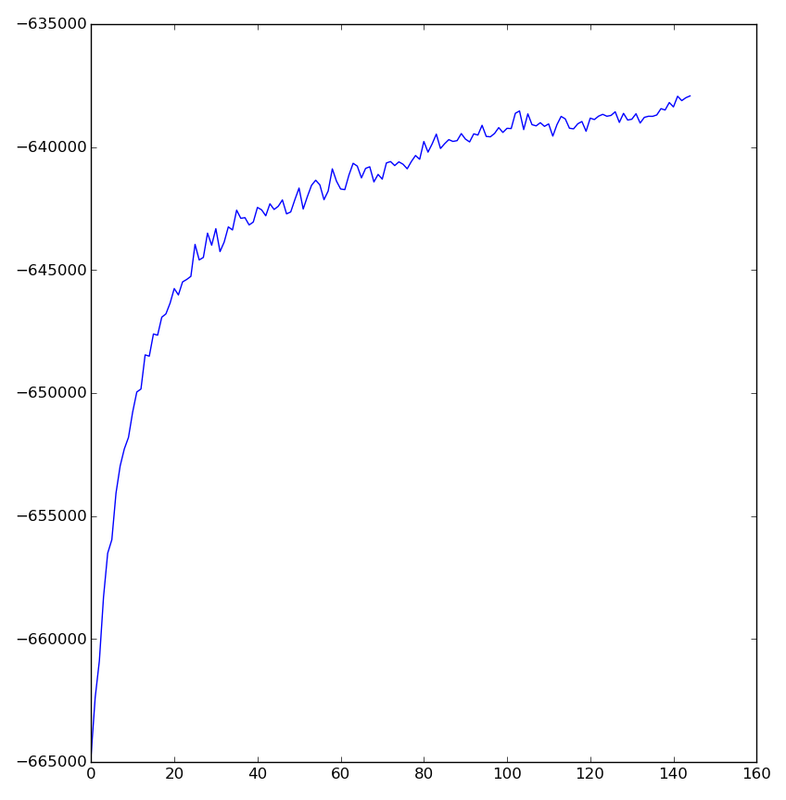 Judging convergence from the plot, the model should be fit with a slightly greater number of iterations. © Copyright 2014, lda Developers. Revision 93a00541.